Last night, The Prince’s Trust launched Prince’s Trust Music; a YouTube channel packed with iconic performances from artists including Elton John, Robbie Williams and Kylie Minogue. 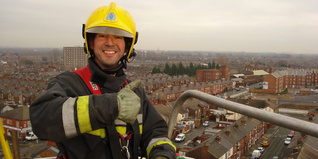 An injury meant Andy Jones was moved from active fire fighting duties at Stockton Heath Fire Station into a Community Safety role. 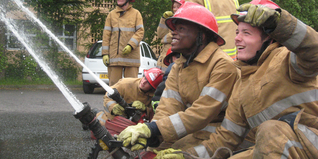 The Fire Service Research and Training Trust is helping fund the Fire and Rescue Service National Liaison Officer post until March 2017. Beyoncé’s global campaign #BeyGOOD has raised more than £85,000 for The Prince’s Trust to help change the lives of disadvantaged young people in the UK. Samsung’s Digital Classroom aims to improve young people’s exposure to the latest digital technology, helping them to advance in school and also in the future job market. Having faced similar issues, Prince’s Trust Ambassador Tom Hardy met with Kenny to help The Trust mark 10 years of Celebrate Success. 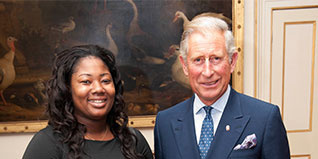 HRH The Prince of Wales was joined by a host of celebrities at The Prince’s Trust and Samsung Celebrate Success Awards. Rio Ferdinand met with Trust-supported young people to announce the renewal of our partnership with the Premier League and PFA. HRH The Prince of Wales met award-winning young entrepreneur Gina Moffatt, who was helped by The Prince’s Trust after she left Holloway prison, at her cafe in Tottenham. 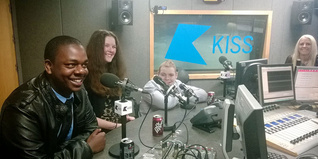 TRH The Prince of Wales and The Duchess of Cornwall visited the Kiss FM studios, and met three inspirational school pupils who have turned their lives around.